Crow Pyboard @Elecrow1 #MicroPython « Adafruit Industries – Makers, hackers, artists, designers and engineers! The Crow Pyboard is a powerful electronics development board which runs MicroPython. Connecting it to your PC via USB, and giving you a USB flash drive on which to save your Python scripts, and a serial Python prompt for instant programming. 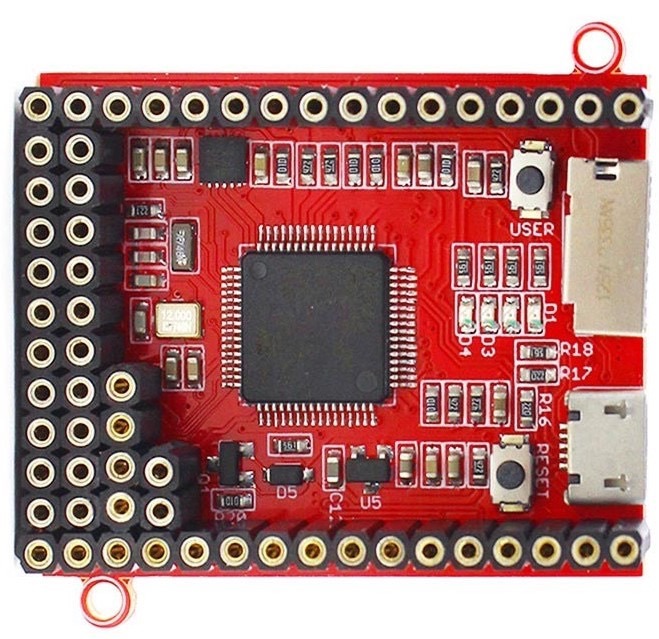 With the Crow Pyboard you gain a low-level Python operating system that you are able to use to control plenty of different electronics projects. At its heart, the Crow Pyboard possesses a STM32F405RG microcontroller with a 168 MHz Cortex M4 CPU, 1024KiB flash ROM, and 192KiB of RAM. Each pyboard is also equipped with a microUSB connector for power and serial communications, a microSD card slot, an MMA7660 3-axis accelerometer, 31 GPIO, four LEDs, a reset switch and a user switch.